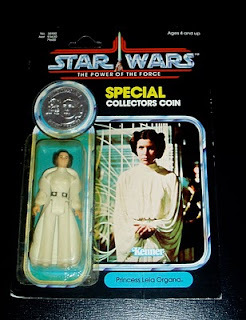 This is a one-of-a-kind mock-up of Princess Leia on a POTF card done for the Classic Kenner 1985 catalog. 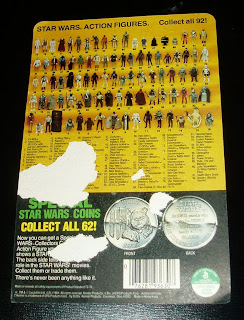 This sample card was used fot the It is a production figure and coin, hand-glued to a proof card. It was purchased from a collector who acquired it (and all of the other photo samples) from the photographer who took the picture for the catalog. Item is currently for sale.